Are you a praying homemaker? Do you pray effectively and see regular answers to prayer for your home, family, and others? I want to be a praying woman! I want to pray more regularly and more powerfully. Are you ready to see God at work in your life? Are you ready to see his provision for your family's needs? Are you ready to watch him intervene on behalf of those you love? 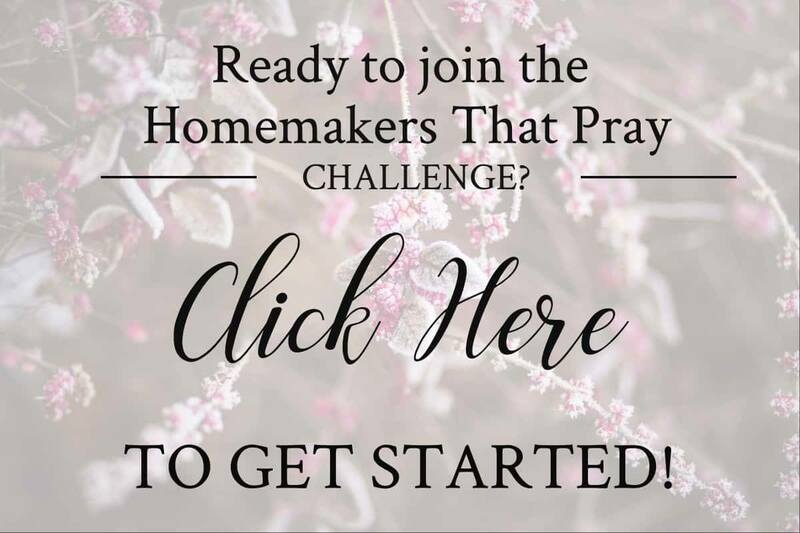 Join me for the next 31 days as together we become Homemakers That Pray! I'll be sharing various thoughts on prayer from a Biblical perspective, some prayer prompts, and of course challenging you to get alone with God each day and spend time in prayer.